Embed the Pathway is rugby league's ground-breaking coaching programme that aims to increase the number of quality 12-14 year old players through the education and training of children's coaches. 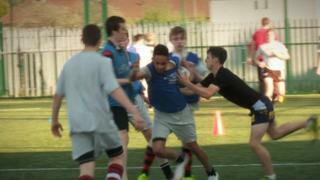 The intention is also to keep children involved in rugby league past the age of 16 when traditionally they drop out. It is a programme of coach education and inclusive player profiling that can be used and adapted to meet the needs of young players at any stage of development.